This month we’re looking forward to the clocks going forward. Not only does that mean lighter nights but also the start of OBH South & EEC’s Friday Night Club. Friday Night Club will run every fortnight from April to October. It will be open to all levels and ages of members. No ponies required – just you on foot. Start time: 6pm – Finish Time: 7.30pm for 10 years and under, 8pm for 11 years and over. 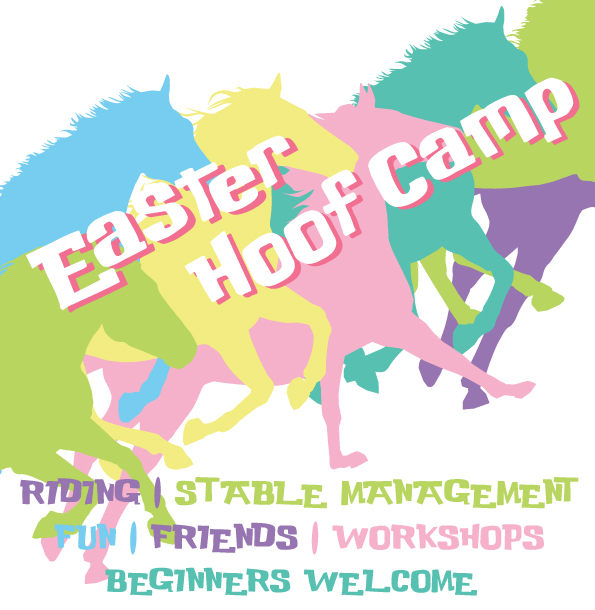 Most sessions will take place at Echo’s Equestrian, Slough Road, Iver, Bucks. SL0 0DZ. There will be some weeks where the venue will be different . An email will be sent out beforehand. £5 each time you come. All FNC dates are listed on the calendar page of the website and also shown below. Open to all members of all levels and ages. Some activities will be indoors, whilst others will be in the field and on the stable yard. Please wear clothes appropriate for outside weather and suitable for being on the yard. (In particular, we will be unable to allow you onto the yard unless you have the appropriate footwear). Please book your place in advance to avoid any disappointment of missing out on a place! Open to kids from the age of 5 upwards, get the chance to experience what it would be like to own your own pony, with our camp. Each day consists of approx. 1 hour group riding, lots of hands on stable management and fun and creative theory. In addition to seasonal related arts and crafts, there will be an Easter egg hunt. We have an indoor school and stables so there is lots of pony fun whatever the weather. There will be some outdoor activities, so please ensure children are dressed appropriately. For those staying the full day, please supply a packed lunch, although hot food is also available from our cafe.